A knock on the door is met with a rustle inside. A curtain is pulled back, and a woman peers out. 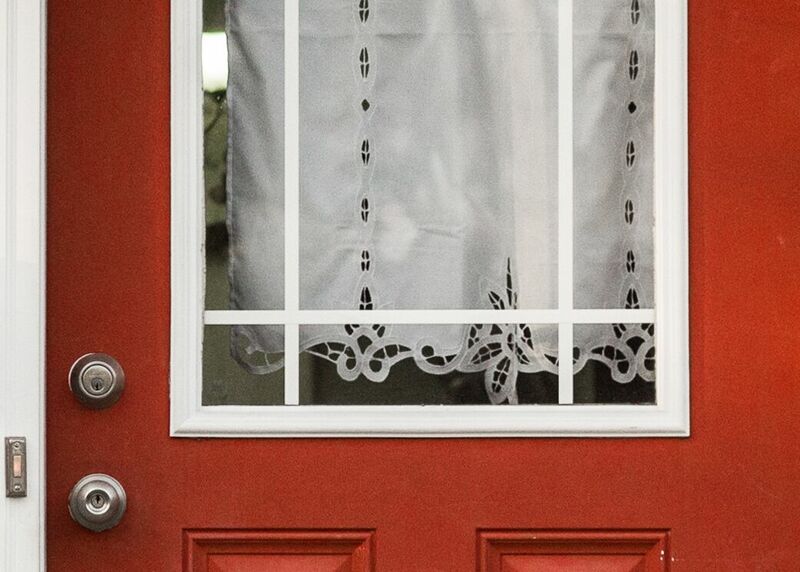 She unlocks the door of her West Michigan home, admits a visitor and quickly closes and locks it again. She’s extra cautious these days, fearing the next knock could be federal immigration officers coming to arrest her and her children and send them back to Guatemala, separating them from her American-born daughter. In the 18 years since she entered the country illegally, she has lived in the shadows; President Trump’s election has forced her farther into the darkness, always wary of what might come next. It is a fear she shares with millions of other undocumented immigrants, including an estimated 840,000 so-called Dreamers — such as her son, Wilfredo Diaz — who were brought here as children. In 2012, President Obama signed an executive order granting them a reprieve from deportation if they came out of the shadows and registered under his Deferred Action for Childhood Arrivals (DACA) program. To Diaz, DACA now seems like a betrayal. When he signed up, he said he took the government’s word he would not be deported. But that was before Donald Trump was elected partly on a campaign promise to crack down on illegal immigrants. More recently, Trump has referred to Dreamers as “these incredible kids,” but he stopped short of saying he will allow them to stay. One is a retired engineer who believed Hillary Clinton would be “the end of the America as we know it.” Another is a poetry teacher who in “conspiratorial moments” after Donald Trump’s election, worried about prison work camps. There’s the U.P. family that stocked up on ammunition, believing Clinton would impose harsh gun control, and the college-educated woman who, in a fleeting bit of panic, considered buying extra birth control before Trump took office. The 2016 presidential election exposed deepening fault lines in Michigan. Bridge is following 11 people and families throughout 2017 in an effort to pierce the bubbles in which they, and the rest of us, live. Our reporters and photojournalists will check in on these very different residents throughout the year to see how their aspirations or fears from the election play out, and to learn more about their hopes — some shared, some not — for a state they all love. Diaz said he agreed to participate in the series “because I want people to know we’re not here to harm the country or commit crimes. We’re here to pursue our dreams and a better life.” Because most other members of his family are undocumented, they agreed to be interviewed on condition they not be named. You can read a short profile of Wilfredo Diaz here. In many ways, Diaz and his family are typical of their neighbors — working, pursuing the same dreams, immersing themselves in American culture. They listen to American music, play video games and communicate through Facebook. They watch CNN, local TV stations and Fusion, an English language channel operated by Univision. Wilfredo Diaz, 22, prefers sports on TV, mainly soccer, a game he has played semi-professionally while working for a restaurant supply company. He keeps up with the news by listening to NPR. Since the presidential election, he has slipped back into ghost mode. On a recent evening, Diaz and his 20-year-old brother, who is undocumented and not covered by DACA, sat down for a meal of pupusas — corn tortillas stuffed with ground meat — prepared by their mother. She used to deep fry the pupusas, but lately Wilfredo Diaz has been urging the family to eat healthier meals. The living room was darkened, the curtains drawn. The TV was on but muted. Photos of family members here and in Guatemala, including the late grandfather who raised the boys while their parents were in the U.S., hung on the walls. Their orange cat, Cheesey, nibbled on a bouquet of red roses a friend had given their mother for Valentine’s Day. 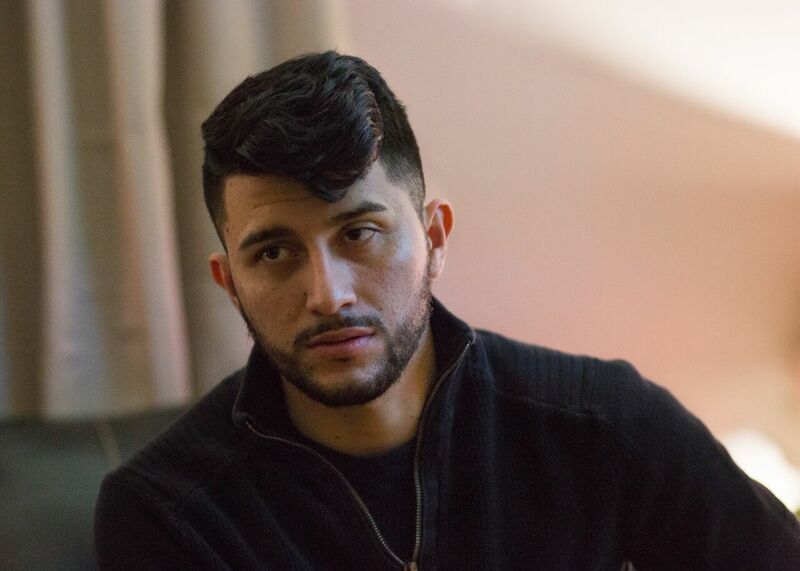 As the family ate, Diaz’s brother, who has a job hanging drywall, recalled a dream he’d had the night before: He said he saw himself arrested, handcuffed and forced aboard a plane for Guatemala. “Yes, it does worry me,” he said, as Wilfredo translated, “because how are we going to survive there?” His concern about being arrested is reinforced by fact and rumor, including reports of mass arrests elsewhere. A cousin who had been involved in a hit-and-run accident was picked up in November and deported in January. In Mississippi, a 22-year-old Dreamer was arrested and faced deportation after speaking out in defense of undocumented immigrants, Diaz read. Authorities said she had been arrested because her DACA status had expired in November. Their mother had planned to go shopping the other day but heard rumors on Facebook that Immigration and Customs Enforcement (ICE) officers were staking out the two chain stores where she had planned to shop. Diaz and his brother said they considered attending a pro-immigrant rally in downtown Grand Rapids recently, but decided it was too risky. They don’t go out to restaurants on weekends as much as they used to, and they are careful to avoid speeding, anything that might draw attention. Their mother insists they lock the door when they leave. Diaz was 9 years old when he arrived from Guatemala. “In Guatemala, I was used to being free,” he said. “Here I felt trapped. I’d ask if I could go outside and play.” The answer usually was “no.” He could attend school, but, other than that, he had to keep a low profile. Not that life in Guatemala was easy. The family subsisted on what they could scratch from the soil. Meals often were ground corn formed into balls of dough and boiled. Home was a mud and straw hut with a dirt floor. In 1996, Diaz’s father left for the U.S., looking for work. Two years later, his wife joined him, leaving their two sons with her father. When Wilfredo was 9, they sent money and word he should come, a journey across Mexico fraught with danger. A bus driver in Mexico demanded that his grandmother leave the boy with him or he’d turn them over to immigration. She paid him 2,000 pesos – about $100 – to let them go. They floated across the Rio Grande using black trash bags filled with their clothing. After a couple of months in a Texas safe house, they finally surrendered to U.S. immigration authorities. After a few of days locked in a holding cell, Wilfredo was released with paperwork, and he took a bus to Michigan with his grandmother and uncle. His grandmother later returned to Guatemala, and his uncle was deported. In 2012, the year he graduated high school, Diaz was granted Dreamer status, freeing him to work, pay taxes and emerge from the shadows. He said he felt liberated, no longer fearing deportation, though his mother, father and younger brother remained undocumented. Their parents divorced in 2006. In 2014, their father was sent to prison for criminal sexual conduct. 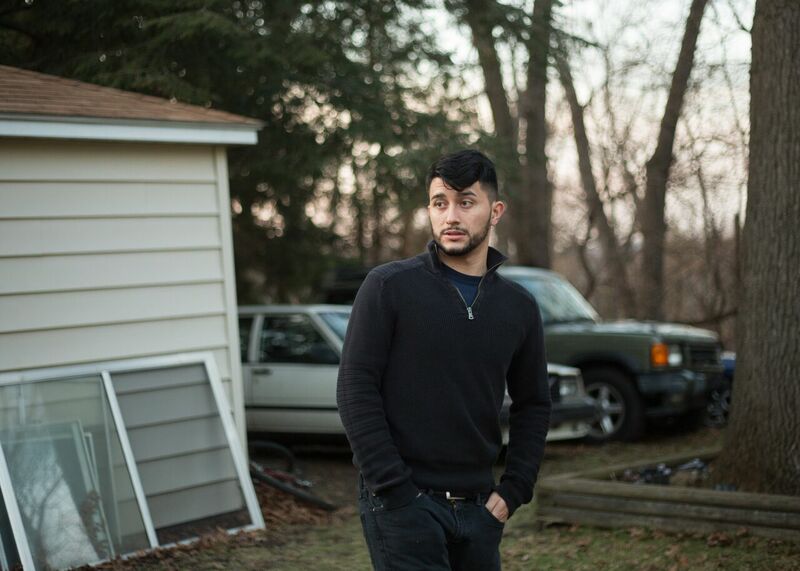 Wilfredo said he is ashamed of his father, has no relationship with him and worries that cases like that of his father make it easy for all immigrants to be demonized as the “bad hombres” Trump has described, even though several studies have shown that first-generation immigrants commit crimes at a lower rate than native-born Americans. Three years ago, Diaz was hired by a restaurant supply company, earning enough to afford a small ranch-style home. His younger brother came from Guatemala four years ago, describing how he walked 13 days across the desert at the age of 16, the last three without food. He arrived too old to apply for protective status under DACA. He earns $130 a day hanging drywall, enough to help support the family. Their mother worked for a time in a laundry, paying taxes and Social Security, but receiving no government benefits. She is unemployed now after twice undergoing open-heart surgery to repair defective heart valves. Diaz worries she would not receive proper care in Guatemala. He also worries about his 15-year-old sister, a United States citizen. Because she has a learning disability, she is covered by Medicaid and Social Security Supplemental Security Income. Just in case, the family has talked about granting Diaz’s girlfriend legal guardianship of his sister. Should that knock at the door come, the family said it also has been saving money to help them get by in Guatemala. With the help of a Migrant Legal Aid attorney, they applied for “U visas,” a category for immigrants and their immediate family members who have suffered serious physical or mental abuse and assist authorities in prosecuting the crime. The attorney, Mariza Gamez-Garcia, said she believes they likely will receive the U visas, because a family member was the victim of a violent crime and helped authorities. So far, they’ve waited three years, hoping the U visas are approved before ICE comes knocking. The mud hut they left in Guatemala has deteriorated, relatives tell them, and the land they once tilled has been taken over by others. Still he said he feels that some people look at him differently these days. Some ask, is he an Arab? Is he Mexican? Diaz shrugs it off. As for Trump supporters, “I don’t think they’re bad people,” he said. “A lot of people say the people who voted for him are racist.” He disagrees. Recently, while listening to an NPR report about Trump’s plan to build a wall along the southern border, he came up with an idea. Unlikely though it might be, he suggested offering each of the 11 million or so undocumented immigrants in the U.S. the opportunity to buy citizenship for $5,000 each. The money, he said, could be used to build the wall. “Everyone I know would pay it,” Diaz said. “I get it: you want to have a secure border. I don’t have anything against him building the wall. Here's a question for Mr. Diaz: Exactly what makes him think that he can cut in line and bypass the process that others have gone through to legally become Americans? And what would he tell those very same people who have personally expended the time and effort to legally become an American? Why bother waiting for so long submitting to background checks and testing, just get yourself a vocal minority to skip that process altogether? Do we really want people like that here in America? We have a process in place for a good reason. Like what was briefly alluded to in the article above, illegal aliens aren't all warm, fuzzy and benign. Just ask the family of Kate Steinle what they think about illegal aliens running around the country. Who in their right mind would gamble with the lives of Americans by debating the issue? Very well said. You are right on. Thanks. Well said, Kevin Grand. Aside from that, I'm sure there's a way to legalize the presence of children who were brought here by parents illegally, but not if these children (many of whom are no longer children) engage in criminal activity. Grant permanent alien resident status after screening for those who do not engage in criminal activity. However, I don't see a a path to citizenship. As for their parents... it's going to take more to convince me that amnesty for all is a good idea. Barb, I think we need to keep in mind the inevitable outcome of open borders and failure to protect the jobs and safety of US citizens. What we now have are immigrants willing to work for substandard wages while we pay citizens (who could work) not to work. Unemployment, especially among minority youth, will continue to be a huge issue. I'm curious...What sort of "jobs" are being taken away from Americans? Construction? Roofing? Food service? Child care? Nursing aides? Farming? Or perhaps, Physicians or other healthcare workers? Full time, seasonal or part time? Temporary? What type of training or education is involved? Just asking the questions. There will be many migrant labor jobs available here in Michigan this seAson! And with ban engineers, computers techs and doctors are going to be in short supply, especially outside cities! As for crime Kevin, do your research. Crimes by US citizens far exceed immigrants Including terrorism! But hate crimes have escalated under #45s regime! Sad to see these fearful posts ! Sad to see America losing so much of it's values. Why are you so easy on lawbreakers? Just because Barry wanted to give illegal aliens your and my tax dollars (to get democrat votes) doesn't make it right. Why didn't all these illegals make any attempt to get legal be before this? I believe that they (all of'em) should go back to where they came and try and come back "legally". As for the mom? She broke the law. Because she had a child here and is afraid of being deported and separated from her child ? Take the child with her and try and come back legally. Besides the fact she broke the law initially, If she has been here that long, she has no doubt broken more laws. Some how she has either worked or took welfare to live with money? Did she (they, the family) get schooling, healthcare, benefits that citizens couldn't or didn't get? I believe that you & I should chose to be charitable if we want. Stop giving away our money. Let me give my own money how I choose. Interesting that Mr. Diaz says "In my country, it wouldn’t even compare.” So he knows this is not "his" country. That "his" country doesn't compare? Why not try and change "his" country instead changing our country to meet his needs and wants. Barb, Just curious, do you have any idea how our Central American neighbors and Mexico treat people who sneak in or otherwise over stay their visas???? I don't think so. Again, the question should be, was the process to become a legal citizen of the United States followed? If not, quit crying. My mother comments just about everyday on the procedure her European parents went through to become citizens of the United States of America. Just because someone comes from south of the border does not exempt them from the law. We need an Ellis Island on our southern border. Why does the family continue to be undocumented? Why don't they take the necessary steps to REALLY BELONG. No more hiding, afraid of the knock on the door!! WHY? WHY? WHY? Immigration is both simple and complicated but the media is seldom comprehensive in addressing it. If you're born wealthy in Mexico, you can BUY American citizenship for $500,000. Yes, it's true. It's not fake news. However, you don't have that option if you're born poor. I think we would all cross the border illegally to provide a better life for our family. The reality is that business wants illegal, and temporary legal immigrants, that drive down wages and have no rights to unionize or complain while there is no substantial penalty for the business. On the other hand, both illegal and legal workers repatriate a large portion of their earnings back to their home countries where the exchange rate inflates their actual US wage and allows them to invest in homes, businesses and educational pursuits for their families. Billions are not spent here but become part of a global economy in the same way that American corporations ship investment and jobs overseas without penalty. The US worker spends their declining wages here although they will still spend earnings on "made in China" goods that also return dollars to other countries. Ironically, the US government knows where all the illegal immigrants are and where they're working due to fake SSI numbers. If immigration and the IRS were allowed to legally exchange information, every business and INS agent would know who was legal and who wasn't. Those paid in cash would be less visible. Since illegal immigrants probably won't be collecting SSI and Medicare benefits, cheating on taxes is a way to make make up the difference if they file at all. The suggestion in the article of charging illegal immigrants for the wall is intriguing. I favor a path to citizenship since America needs more younger workers to support our aging population and providing them citizenship will make US workers more competitive due to the rights they will gain. The real culprits are robots and corporations shipping jobs overseas without penalty. China requires foreign companies to invest in their country in order to sell in their country. I think that's wise. China needs to invest more here as Japan and Germany have done.